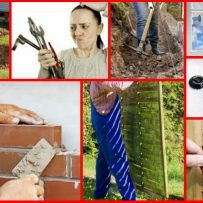 Have you started a DIY project that seems to take forever to get it finished? Maybe the ceiling, wall, or paintwork just doesn’t quite reach the perfection you were hoping for? …I could finish it for you. Perhaps a broken fencing panel, or some missing slats, or supporting timbers have come adrift – Possibly the kick board at the bottom has rotted away… or the wire strand supporting the netting has broken. I’m here to help and I think you’ll find my prices are very reasonable!